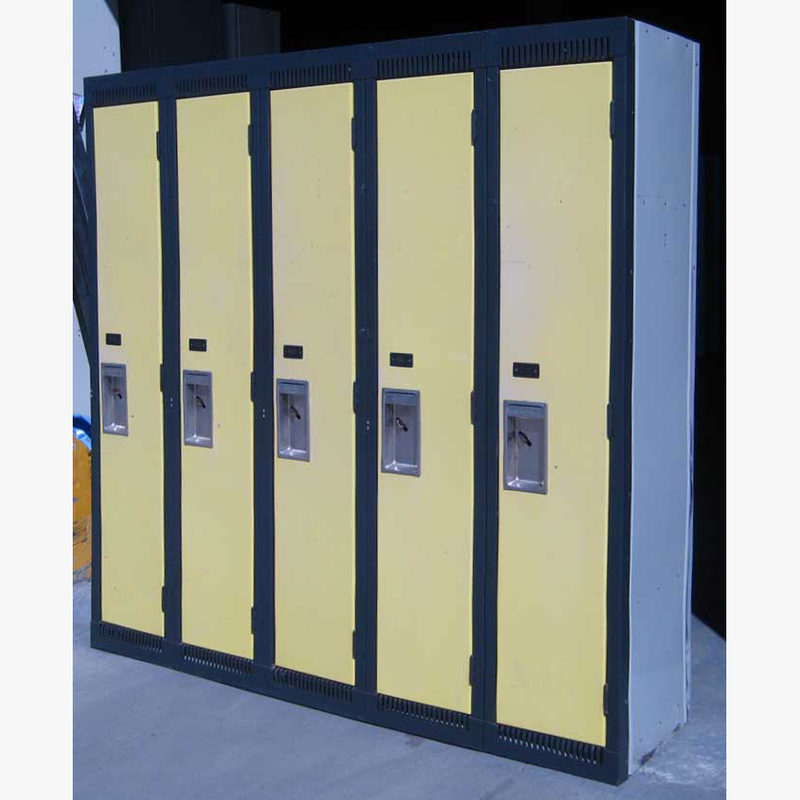 These Heavy Duty Storage Lockers are available on www.buyusedlockers.com where they have a huge selection to choose from if we need additional supplies. 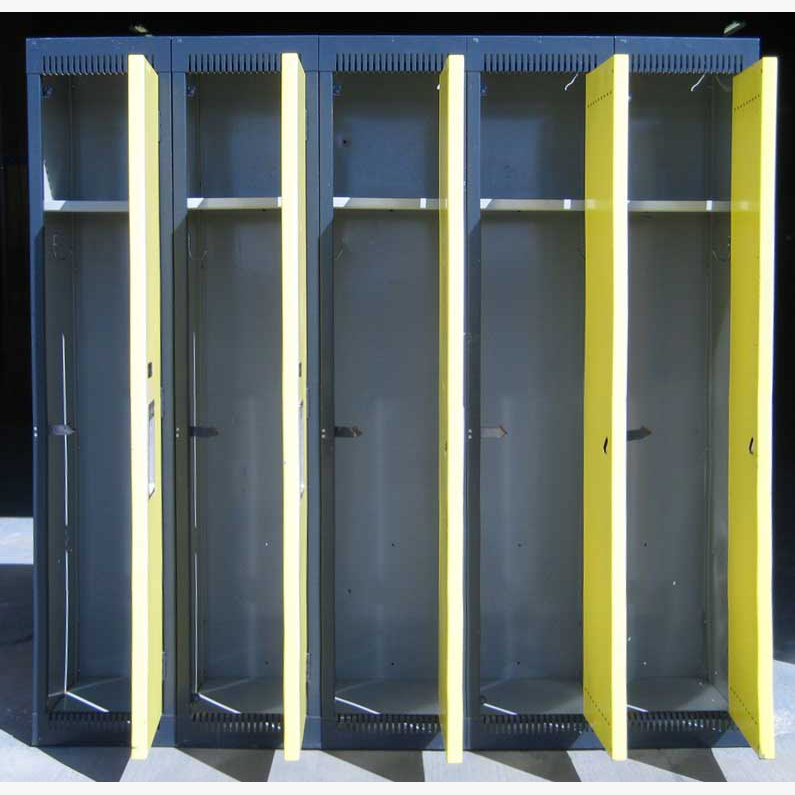 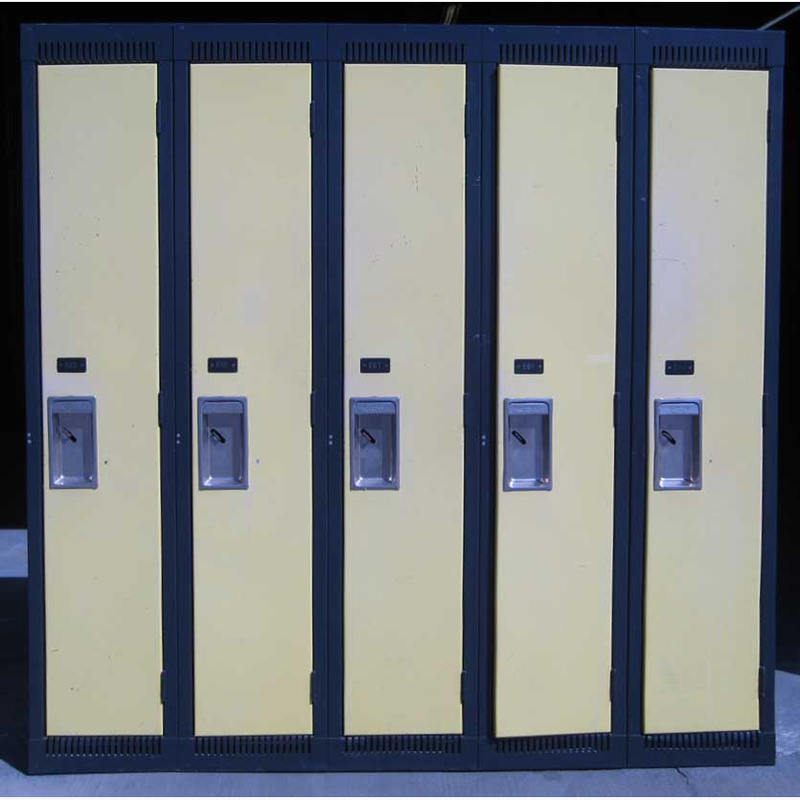 Check out these used heavy duty metal storage lockers for sale! 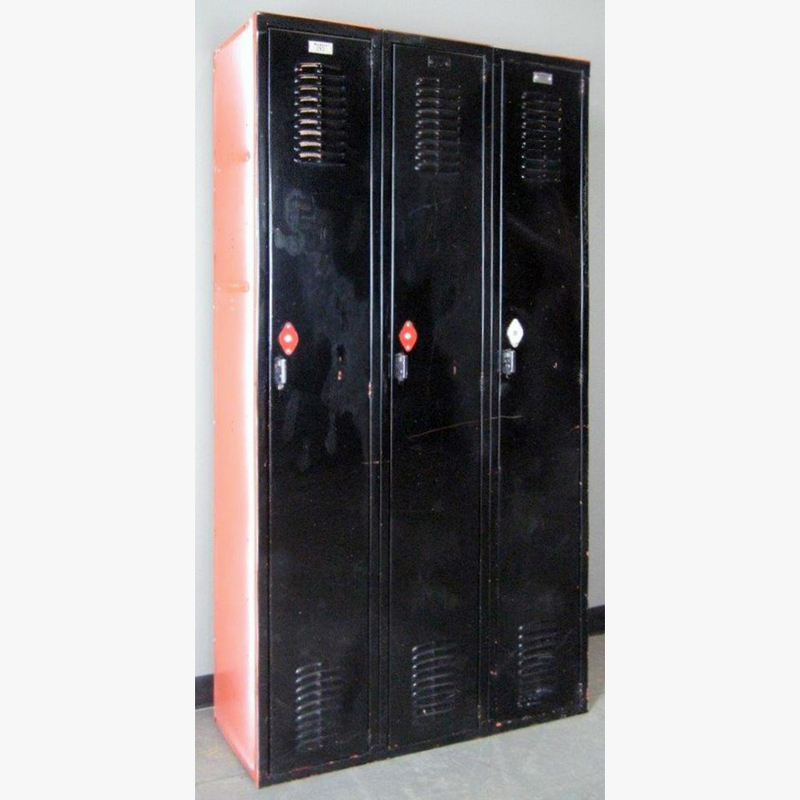 These fully functional lockers measure 12” wide x 15” deep x 60” high, and are in good condition. 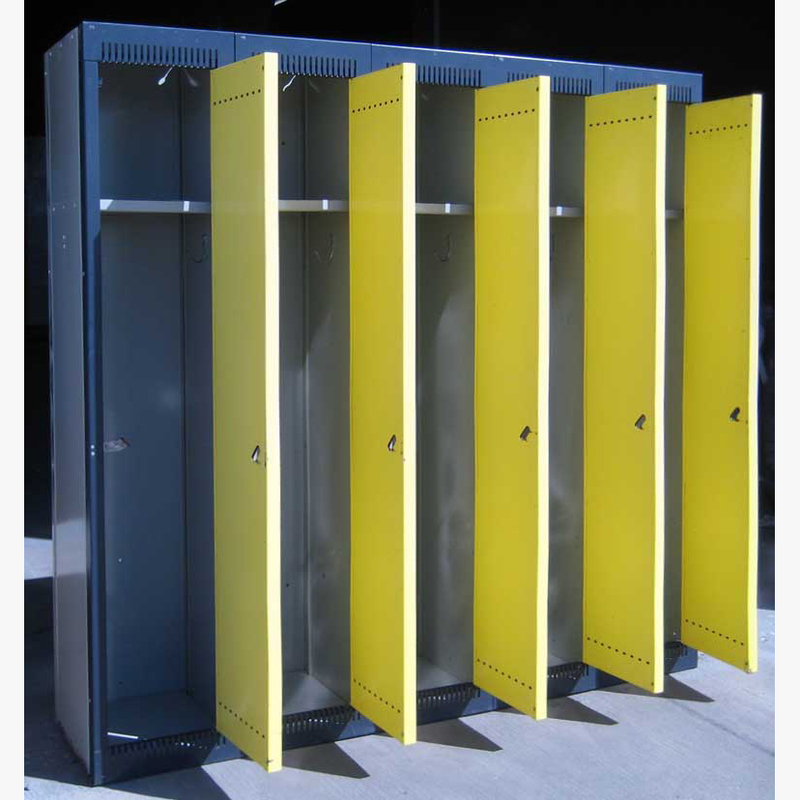 Quality features include double pan doors with a honeycomb core and piano-style hinges to provide the strongest, most rigid and secure locker door on the market; a recessed handle with single point latching mechanism ensures quiet and maintenance-free operation; interior shelf and coat hooks for efficient use of storage space; and attractive two tone color scheme with black frames and yellow doors for a pop of color.